If your husband or wife serves in the military, there are many things that you will face that can cause problems. Primarily, of course, it is their immediate safety. Every time they go away there is a feeling that you might never see them again, regardless of whether they are heading to a war zone or a training camp. However, there are some other issues that are likely to rear their heads. These problems can be fought – and solved. In this guide, we’re going to take a look at the sort of thing you can expect from being married to the military, and how to fix them. A lot of people express their concern about serving military members being away from their families for prolonged periods of time. However, it’s just as hard – if not harder – for those left behind. For moms and dads, not only do you have to deal with the separation, but you also have to struggle to bring up your kids in the best way possible. For long periods, you will be acting as a single parent. And, every time the phone rings, or there’s a knock on the door, you will get a knotted feeling in your stomach that it may be a permanent arrangement. Make sure you check out our story on what it’s like to have a loved one on deployment. As we have mentioned above, you could feel like you are a single parent. Also, although a lot of army housing is built on great communities, there will be many times when you just don’t know anyone. If your partner changes rank or regiment often, you have to start again and build new relationships. It can be incredibly stressful. However, the only thing you can do is to try and get involved with others as much as possible. It’s hard, but it will help get you through the tough times. The army is a highly macho place, and unfortunately you may encounter sexism on many occasions. There has been a lot of good work done in recent years to combat this, but it is still a part of army life that can be distasteful. As a military wife, there will often be times when you are treated as a second-class citizen. Things can be tough for men with serving wives, too. The vast majority of the armed forces is made up of men, and you may encounter snide comments about your status as a civilian while your wife is doing her bit. Your best bet is to report any problems you have with the relevant authority in your camp. Don’t be silenced and make sure your complaint is heard. 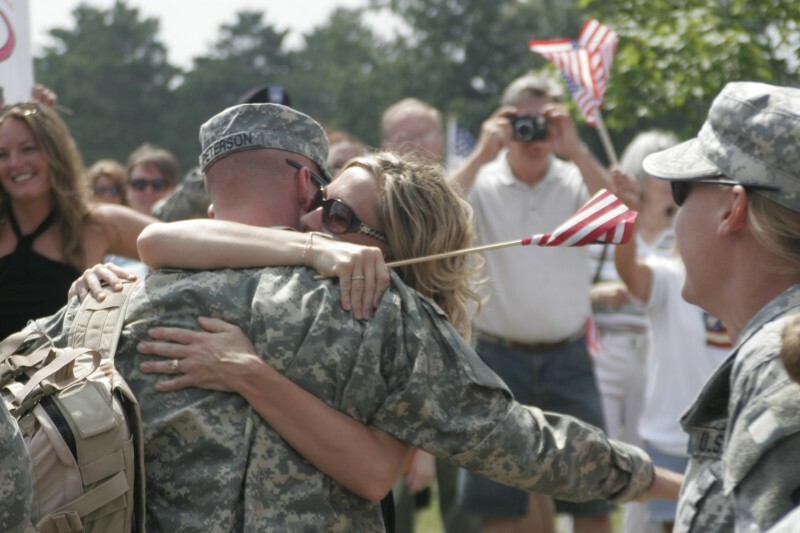 As a military wife or husband, you will be delighted when your partner calls time on their career. However, it’s going to be tough for them – and you. You’ll need to find a place to live and new jobs for a start. Thankfully, there are plenty of military apartments for veterans that you can use to help with the transition. However, being ‘out of the game’ can be hard on your partner for mental reasons, too. They will miss the camaraderie and the routine. All you can do as a partner is to be as supportive as possible and help them find a new career that they are happy with. Although their military career is at an end, you will still be their support for some time yet. We hope this has helped you if you are struggling with marriage to the military. Although these problems are common, they are easily overcome. Let us know if you have any other ideas that might help others experiencing stressful situations.